The US unit of China Railway Rolling Stock Corp, maker of transit rail cars, is paying Mercury Public Affairs $25K a month to land a contract for the New York subway system. The Metropolitan Transportation Authority in Jan. 2018 announced plans to spend $4B to order more than a thousand subway cars to upgrade the aging system. Japan’s Kawasaki got a contract for the first batch of cars set for delivery in 2020. No American company makes transit rail cars. CRRC has aggressively bid on contracts throughout the US, winning four (Boston, Chicago, Philadelphia and Los Angeles) of the five contracts by offering rock-bottom prices. It is a top contender to win a more than $1B contract for 800 cars for the Washington Metro. 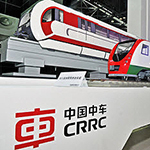 The success of the Chinese state-owned company has drawn the attention of federal lawmakers, intelligence and defense officials who worry that CRRC-made cars could carry equipment for electronic spying or causing a crash. DC area Senators Mark Warner, Tim Kaine, Ben Cardin and Chris Van Hollen sent a letter to DC Metro earlier this month, recommending that it gets clearance from the Pentagon and Depts. of Homeland Security and Transportation before awarding CRRC a contract. The Washington Post reported Jan. 8 that the Metro added a cybersecurity safeguard provision in the contract that it plans to award later this year. Mercury’s pact is with CRRC MA Corp, which is based in Quincy, MA, and calls for strategic consulting and management services such as arranging/attending meetings and providing logistical support during visits to New York.